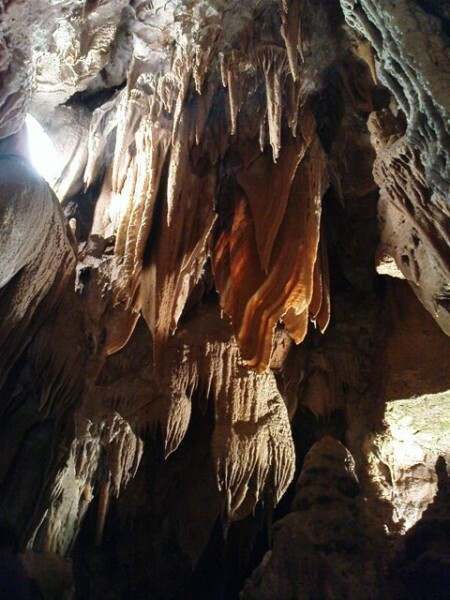 The cave Kostanjevica is part of the eastern lower karst and it’s the most eastern karstic cave in Slovenia. It’s located 1 km south of Kostanjevica na Krki at the foot of Gorjanci and at the source of Studena. It was found during a great flood in 1937, when the rain opened the main entrance into the cave. From that day, the cave has been explored by speleologists from Kostanjevica with the help of other speleologists from Novo Mesto and other associations. The part open for tourists is 300m long, illuminated and appropriate also for elderly and children. It was opened in 1971. The tourist part presents the most attractive parts of the cave. The average temperature is 12°C. Today, 2km of the cave had been explored, but that part is not open to the public. The cave is open from the 15th April and the 31th October on weekends and holidays at 10h, 12h, 14h, 16h and 18h with a guided tour. During summer (July and August) the guided tour is available everyday on the listed hours. In the case of groups, it is possible to organise a tour if notified ahead of time.